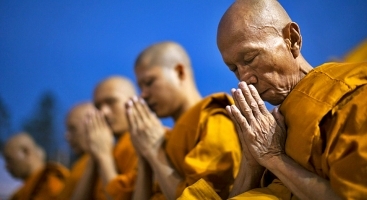 Laos is famous for being a devout Buddhism country. Most of Lao lowland people (about 50 percents of population) are follower of Theravada Buddhism. Most of these ethnic minorities are practitioners of animism, with beliefs that vary greatly among groups. Catholics and Protestants constitute approximately 2 percent of the population. Other minority religious groups include those practicing the Islam, Mahayana Buddhism and Confucianism. A very small number of citizens follow no religion. Buddhism was introduced to Laos beginning in the eighth century by Mon Buddhist monks and was widespread by the fourteenth century. A number of Laotian kings were important patrons of Buddhism. 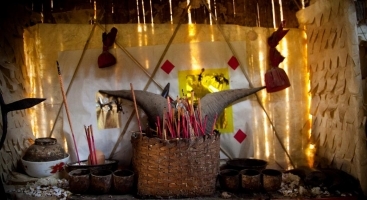 Despite the importance of Buddhism to Lao Loum and some Lao Theung groups, animist beliefs are widespread among all segments of the Lao population. The belief in phi (spirits) forms the relationships of many Lao with nature and community and provides one explanation for illness and disease. 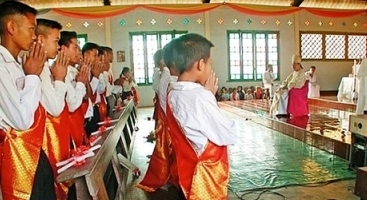 Christianity is a minority religion in Lao with approximately 45,000 followers. There are three recognized Churches in Laos: the Lao Evangelical Church, the Seventh-day Adventist Church and the Roman Catholic Church. 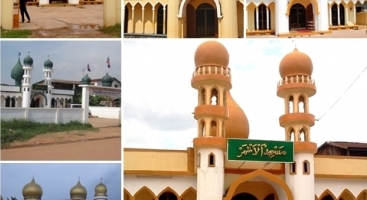 Muslims are a small minority in Laos and constitute about 0.01% of the population. Vientiane also has a Jama Masjid.